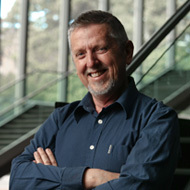 Stephen is one of Australia’s most celebrated and experienced writers. He has won great popular and critical acclaim as a playwright, screenwriter and novelist, as well as directing for both theatre and film over a career that has spanned 30 years. Stephen chaired the Australian National Playwrights Centre for a number of years, is the recipient of numerous awards and his work has been performed in most major Australian theatres and in New Zealand, the US, the UK and Europe. Stephen is best known for his film and theatre work, including his AFI Award winning screen adaptation of The Boys, his role as script editor on the feature film Chopper and his numerous plays such as The Blind Giant is Dancing, It Just Stopped and the highly awarded Myth, Propaganda and Disaster in Nazi Germany and Contemporary America: A Drama in 30 Scenes. Stephen’s work also includes his novelisation of the film Animal Kingdom and his film Scenario, an artificially intelligent 360 degree 3D cinematic work premiered at the 2011 Sydney Film Festival. Most recently he has worked closely with director and producer Jim Sharman on works such as Three Furies: scenes from the life of Francis Bacon and Andy X, an interactive musical about Andy Warhol. Stephen has just completed his film directorial debut Embedded. He was appointed Head of Writing for Performance at NIDA in January 2013. Stephen’s awards include: 1985 New South Wales Premier's Literary Award for The Blind Giant is Dancing; 1989 New South Wales Premier's Literary Awards for Hate; 1998 AFI Award for Best Screenplay Adapted from Another Source and 1999 FCCA Award for Best Screenplay – Adapted for The Boys;2004 Australian National Playwrights' Centre Award; 2004 New South Wales Premier's Literary Award for Myth, Propaganda and Disaster in Nazi Germany and Contemporary America; 2004 AWGIE Award; and 2004 Victorian Premier's Literary Award Louis Esson Prize for Drama. Ellen comes to the MFA with a strong professional background in costume design, construction and bridal couture. 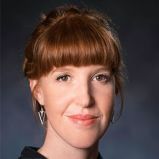 After completing a Bachelor of Design (Fashion Design) at the Canberra Institute of Technology in 2006, she has worked as specialist costume maker in dance and theatre.